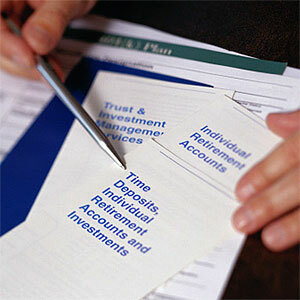 2) Organize essential financial documents. 3) Make lists of financial activities. 4) Organize estate planning documents. 5) Create durable and health care powers of attorney. 6) Involve a financial expert. 7) Look out for red flags. To read the full article for further details, click here. On some levels, fees might seem unimportant. One very smart attorney explained this to me in football terms: who would you rather have as quarterback of your favorite team, a star like Joe Montana or some lesser-rated journeyman? Obviously, most of us assume that Joe Montana in his prime was worth a lot of extra money. You always pay for what you get, my attorney friend argued. It’s an interesting point, but, again, flawed. Investing isn’t very much like football. There’s an abundance of research suggesting that investment managers operate with much less skill than quality quarterbacks. That’s not saying they’re worthless, just that active management adds less value than you’d think to most portfolios. In the main, a major component of performance comes from general market movement, not the portfolio manager. So why pay huge expenses? Of course, there are some parts of the investment world where expertise plays a key role. Smaller sectors – say, developing markets or very new companies – aren’t covered as broadly by the general press or analysts. Managers specializing in these fields may incur higher costs and reasonably pass them along to investors. Yet, how do we decide what deserves higher fees and what doesn’t? The Schwab Center for Investment Research did an extensive study of mutual fund performance (June 1999, Vol. II, Issue I). They ran computer analysis on dozens of factors that might contribute to mutual fund performance. Two primary factors emerged with strong correlation – lower costs and recent performance. Good performers tend to repeat (sadly, so do bad one) and, since costs necessarily reduce performance, lower fees mean higher returns. They didn’t specifically test this on other non-fund asset classes, but experience tells me that it’s true. Investment fees are changing across the board. The Internet and other resources have created a very transparent environment. Fees are no longer hidden, and savvy consumers can easily locate helpful information regarding costs and value provided in exchange for those costs. Trading and other costs have fallen (and keep falling) while convenience and ease of use keep going up. It’s a terrific environment for do-it-yourselfers. Providers that can’t measure up in this environment won’t survive. Environmental changes spur different kinds of investment services and fee schemes. From all this, some casual observers are predicting the demise of investment professionals. I’m very skeptical (as you’d expect). Oh, there’s no question that our industry is changing and that some professionals will not survive. As with any era of rapid change, traditional methods often implode, just as new methods thrive. It’s a natural progression. Survivors simply adopt new and better ways to serve their customers. I’ve already observed one radical new behavior among investment consumers. The freedom to do something – virtually anything – includes the freedom not to do something as well. Consider the routine or mundane tasks often delegated to others: lawn service, oil changes, laundry, maybe housecleaning. Cooking (at least some portion of family cooking) slipped into this category decades ago when low cost and convenience slammed the restaurant world. True, today’s consumer faces some wonderful new opportunities in investing. But, easy as it has become, it still takes time, concentration, and energy to invest wisely. It’s a fine diversion for some people (a hobby, perhaps), but it’s not for everyone. Is investment management where you really want to spend your time, concentration, and energy? Many smart, talented, and extremely successful people are deciding not. I’m talking with more and more people who are actively deciding to delegate part of the investment management function to outside professionals. They want to stay involved to some degree but not at an activity level necessary by themselves. It’s never been easier or cheaper to delegate. The same tools that lower costs for consumers also lower costs for advisors. The same technology that brings quality research to the home desktop also brings it to professionals. Good advisors provide more value and cost less than ever before. Across most areas of our lives, it’s more affordable than ever to hire outside help. It’s true around the house and it’s true around the portfolio. Technology creates better value. The truthful answer about which options are best lies with the client. Each client brings a unique set of needs. Some clients need a lot of safety and convenience; others need considerable expertise or reduced costs for active trading. Chances are very good that the same firm can’t serve both clients equally well. You have to understand the issue to reach wise choices.